Are you looking for a way to add interest to your Civil War unit? Do you need more activities for your learning stations? 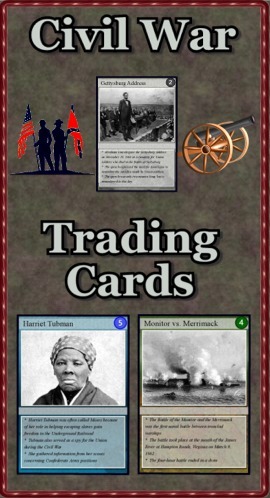 “Civil War Trading Cards” is a set of 54 trading cards highlighting people, events, locations, treaties and ideas. Print & laminate the cards to create a standard set of playing cards. "Educational Trading Card Games" details 3 original learning games. 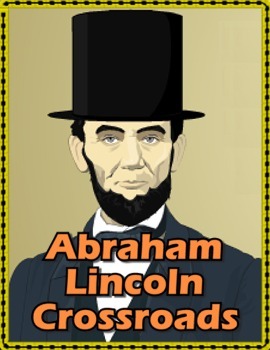 "Creating Educational Trading Cards" shows teachers and students how to make their own cards. Great idea to engage older students in learning! Love this product! These are amazing. Thank you for all your hard work and for sharing. These are great for SPED students. I love it!! Thanks a lot! !